If you're a member of a flyball team or just a fan, look no further than this warm pullover sweatshirt to announce your support of this dog racing sport! 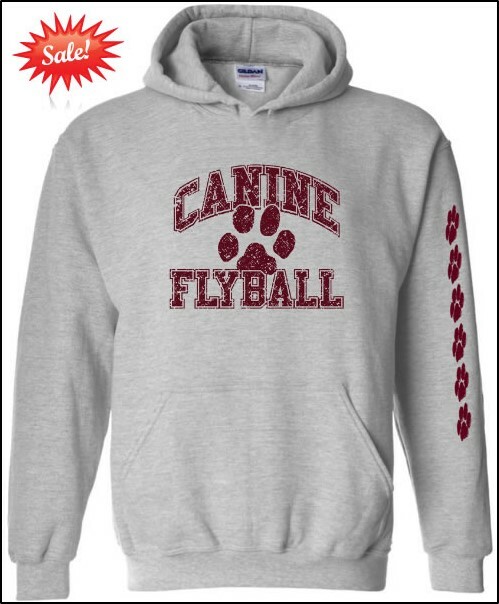 The grey sweatshirt with hood has the words "Canine Flyball" printed on the front with a large paw print in red and a set of red paw prints down the left sleeve. 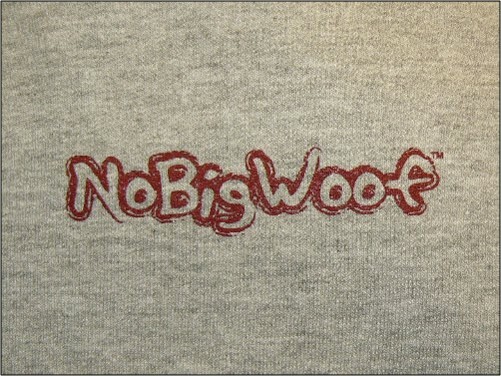 Words "NoBigWoof" printed on top back of sweatshirt. Each heavy sweatshirt is made by Gildan and is a 50/50 polyester/cotton blend in unisex sizes. The design is screen printed using phthalate compliant, lead-free inks in a green printing company which uses soy-based, biodegradable solvents.